Protect your skin from irritation and blistering with Storm Thunder Tape! Have been using this tape for 2 years now. I used to buy pre cut tape but now cut my own, what a money saving value. 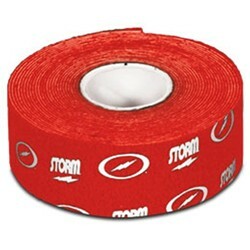 Due to the time it takes to produce the Storm Thunder Red Tape Dozen ball it will ship in immediately. We cannot ship this ball outside the United States.